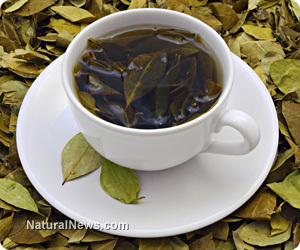 (NaturalNews) For centuries, the Chinese have understood the healing nature of green tea. Only recently have we come to understand that the lightly fermented tea leaves used to brew green tea are endowed with a special class of flavonoid known as Epigallocatechin gallate (EGCG), that has been shown to positively alter human metabolism. EGCG is a powerful antioxidant that can easily cross the blood-brain barrier to impact brain health and can improve insulin signaling to help blood glucose control. A research team from Poland has released the results of a study in the journal Nutrition Research that finds a dietary supplement of green tea can help to lower multiple factors associated with the metabolic syndrome in overweight adults. Overweight and obese individuals have dramatically increased risk of multiple, confounding health concerns including high blood pressure, blood sugar spikes, high cholesterol, blood lipids and systemic inflammation. The scientists determined that very small amounts of a supplemental green tea extract can lower disease risk on multiple metabolic systems to improve long-term health outlook of overweight individuals. Researchers analyzed 56 individuals considered to be obese (BMI of 30 or higher) who were also hypertensive and insulin resistant, all signs of metabolic syndrome, a prevalent condition among millions of American adults today. Metabolic syndrome biomarkers dramatically increase the risks associated with developing diabetes, heart disease, cancer and stroke. The study's participants were supplemented with a low dose of green tea extract standardized for 208 mg of the most potent antioxidant catechin, EGCG. After a period of three months, the study cohort experienced significant reductions in both systolic and diastolic blood pressures, fasting serum glucose, LDL cholesterol, and triglycerides. Even more importantly, the participants demonstrated impressive reductions in the inflammatory cytokines, TNFa and CRP. Scientists are rapidly proving that systemic inflammation is a key factor in the development and progression of many chronic illnesses including cancer and cardiovascular disease. In a separate supporting study published in the Journal of Nutritional Biochemistry, researchers discovered that as a person gains weight, muscles become progressively more fatigued and inefficiently metabolize glucose leading to insulin resistance. The power-producing organelles (mitochondria) in these stressed muscles generate excessive amounts of antioxidants leading to early cell death. Scientists found that supplementing with EGCG reduced insulin resistance and free radical damage, while turning down the genes associated with excessive autophagy that lead to muscle cell death. The Chinese have successfully demonstrated the healing power of green tea for centuries, although current research has only recently discovered the specific gene-altering characteristics exerted by EGCG catechins to promote human health. Most research studies recommend drinking between two and eight cups of fresh brewed green tea daily (standardized green tea extracts of 200 to 350 mg. have been used with similar results) to negate the devastating effects of metabolic syndrome and prevent chronic conditions.